The pump is one of the most common devices ever created, spanning use from sanitary to manufacturing processes. A variation of it can be found in almost every home, workplace, facility, or plant, and is often critical to making sure the operations that go within these environments run smoothly. They also come in different types and purposes (such as metering pumps made by Grundfos), but they can be classified into three general groups depending on the mechanism that they use to move the liquids that they regulate. These differences may be minute but can make a huge impact depending on the use that pump is fulfilling, as well as the site where it is placed. Often one of the simplest methods of pumping water, using gravity pumps rely on the sheer force of the water flow to be pumped to where it needs to be. It works by manipulating the pressure of free-flowing water (typically those found in a stream or river) in different tunnels and pressure environments to force it to flow in a certain direction. The best example of this is the hydraulic ram. It’s a rather simple system that’s most often used for irrigation and other simple water demands, but can be considered the most economical and reliable form of water pumping if operations need minimal water flow. It is often chosen as a backup method for pumping water to a higher elevation from where it was originally sourced. 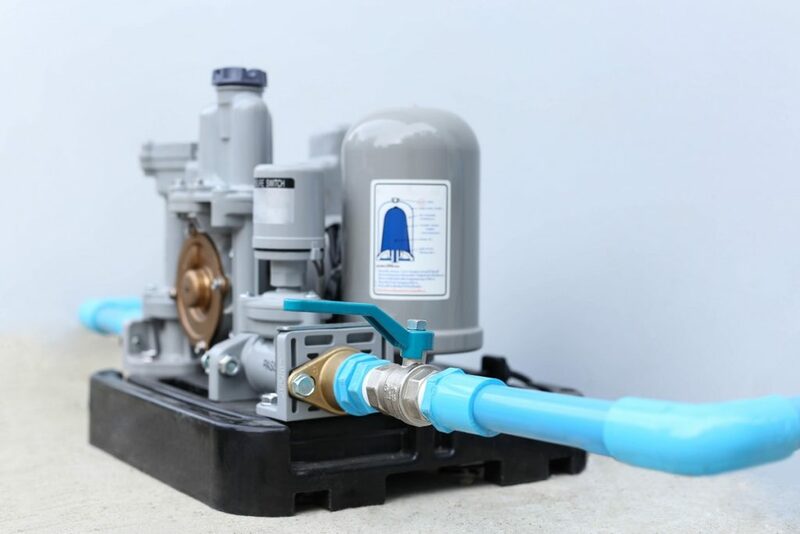 These pumps also work with pressure, but control the water by trapping it in certain amounts at different sites of the pump, and then releasing the trapped amount in a discharge valve. This is the most common pump used today, with a variety of types and uses depending on the water level and amount of flow required. The primary advantage of displacement pumps is that it’s possible to produce the same amount of water at a constant rate; therefore, earning them the moniker “constant flow machines”. This also does come with an added safety feature of having a relief or safety valve in case the water pressure starts pushing against a closed valve. These pumps use their mechanisms to move the water from one place to another. The system relies a lot more on the mechanical parts of the structure instead of other factors, such as gas or pressure, to move the liquid. It is used when there are other particulates inside the liquid that also need transport or when the more sophisticated system isn’t available. While this type of pumping system can be costly to set up and maintain, it’s often very useful for the niche facilities that require it. The best advantage of direct lift pumps is that you’re often able to precisely control the volume of the liquid, as well as the conditions surrounding it, in transit, before discharge, and after collection in the tank. While each business has a need for pumps in some form, it’s important to consult a reliable company to learn which type of pump is best for your specific application.